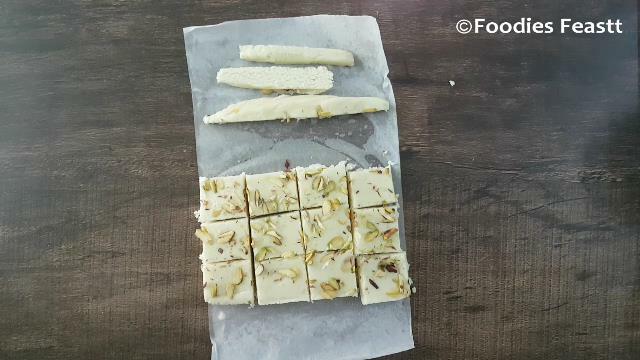 Milk powder burfi is a very burfi to make with very few ingredients and in just 10 minutes. 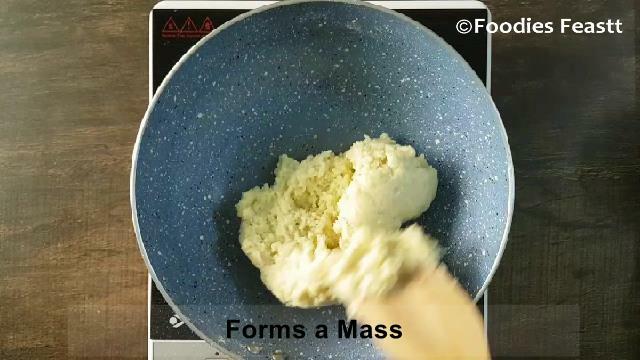 It would yield the same taste as that of mawa burfi. Very first time when I made this burfi it didn’t turn out good. The taste was good but was very chewy and sticky. I tried again and still the same result. Then I asked my muma what might be its reason. 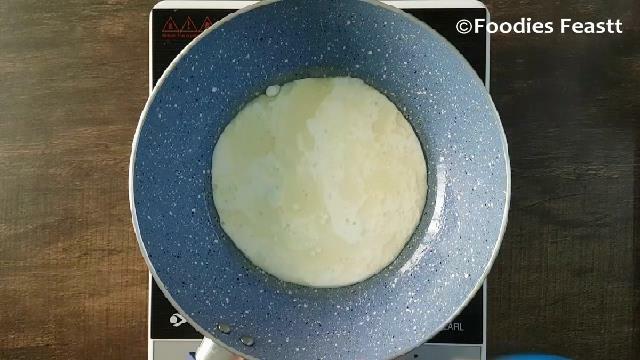 She suggested that it might be due the high amount of sugar in it. 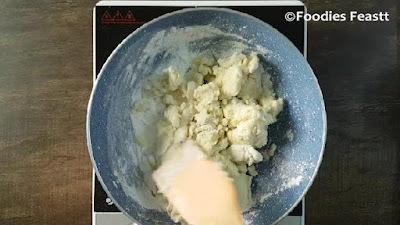 And then when I thoroughly read the ingredients I figured out I was using the milk powder which already had sugar in it. Then finally I tried with the unsweetened milk powder and I got the result with flying colors. The burfi was so delicious and mouth melting. 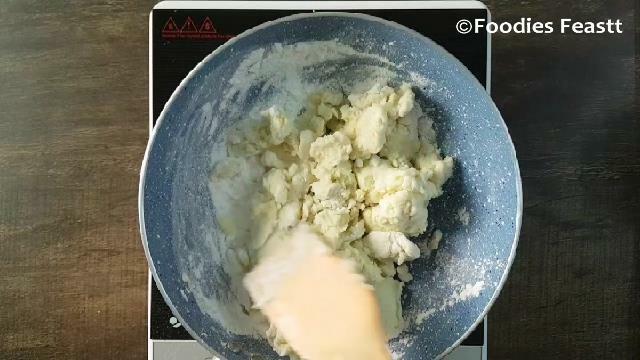 So the very important point to remember while making this milk powder burfi is to use unsweetened milk powder. 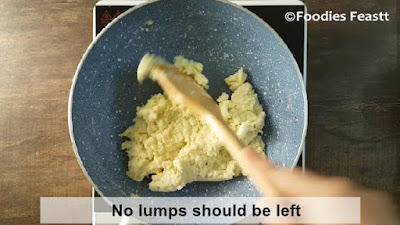 Anyhow you will get a better idea when you watch its recipe video. 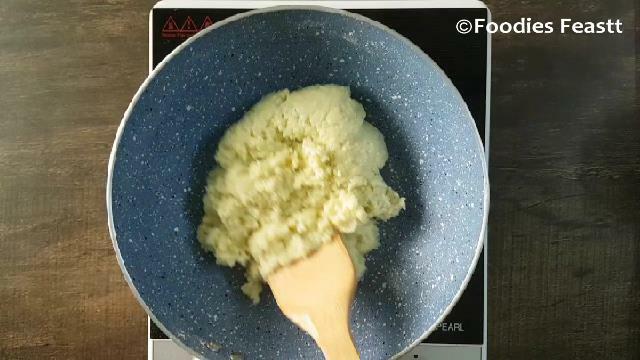 The other tips for making this barfi are mentioned in the tips section after the method. Grease a dish with some ghee and line it with butter paper and keep it aside. 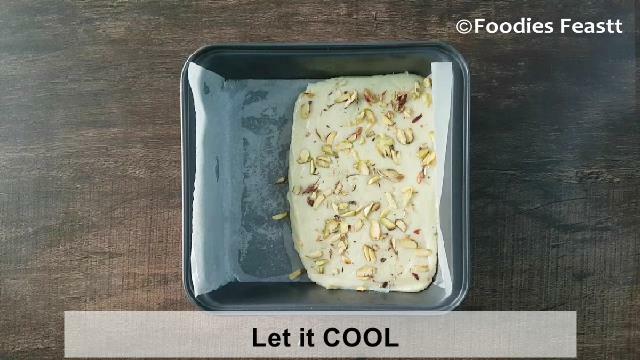 So that we just have to lift up the butter paper and the burfi would come out of the tray. 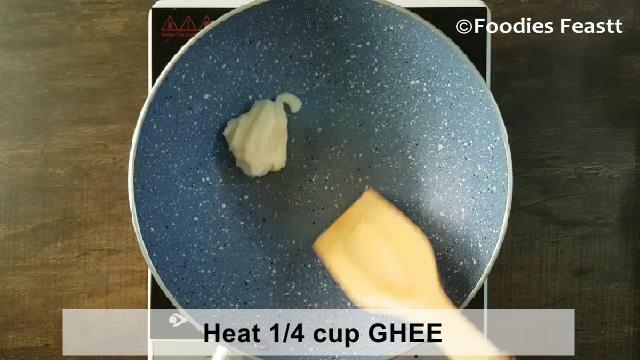 Heat ¼ cup ghee in a pan. 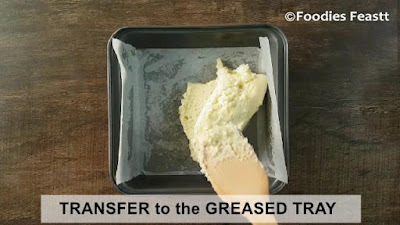 Take the ghee that is at room temperature not in the melted form. Keep the heat at low. 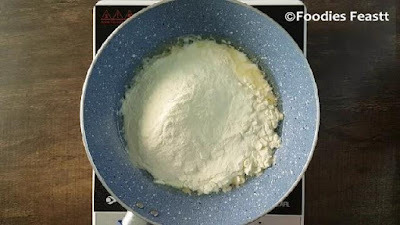 When the ghee melts add in ½ cup of milk followed by 2 cups of unsweetened milk powder. Now start mixing and combing all the ingredients and turn the heat to medium. 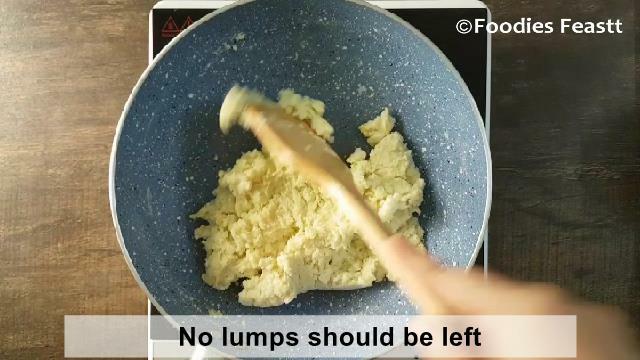 Keep on stirring till all the ingredients are well mixed and there are no lumps left. 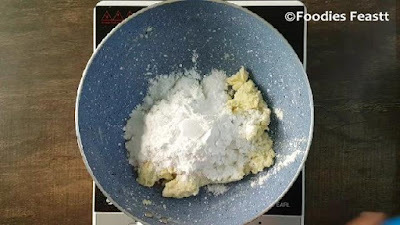 Next add in ½ cup of powdered sugar. This quantity of sugar goes well for me which is medium sweet. Anyhow you can add in more as per your taste. 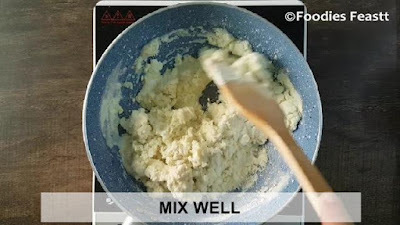 Mix well and keep stirring on medium heat till the whole sugar gets incorporated in the mixture. Keep stirring till the mixture starts to leave the sides of the pan. It would take about 2 to 3 minutes. 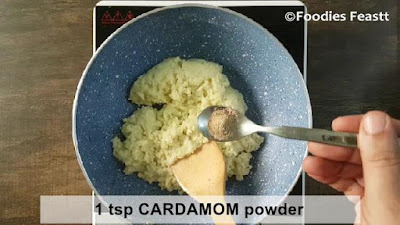 Add 1 tsp cardamom powder and mix well. The mixture should form one mass a kind of a lump. This would be the perfect texture of the burfi. 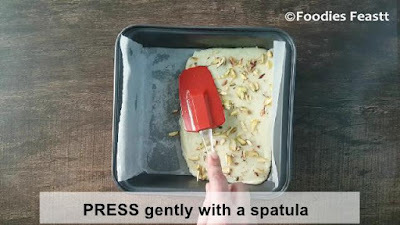 Now transfer the burfi mixture into the greased tray and level it with a greased spatula. Greasing the spatula is important else the burfi mixture would stick to the spatula. 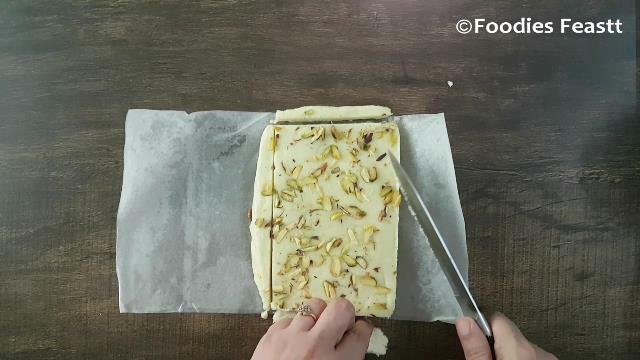 Garnish it with sliced pistachios and gently press them with a dry spatula so that the pistachios would not come out from the burfi once cooled. Let it cool. It sets very quickly in about 5 to 6 minutes. 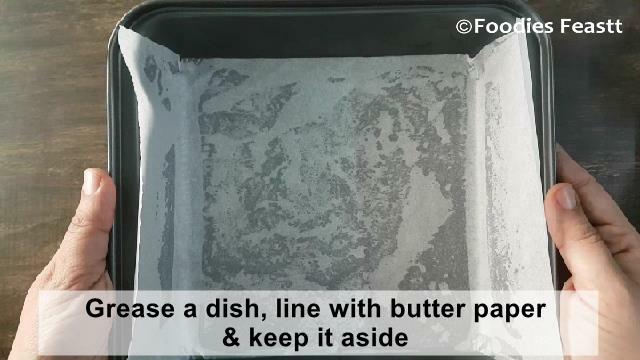 Now cut off the edges if you want perfect square pieces as I did. You can skip this step its optional. After cutting off the edges cut the burfi into squares. 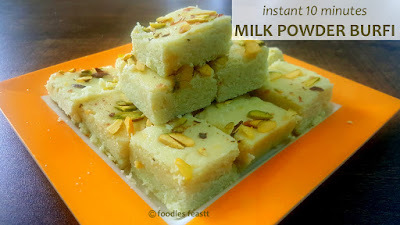 Instant Milk Powder Burfi is ready to serve. Very important use unsweetened milk powder. 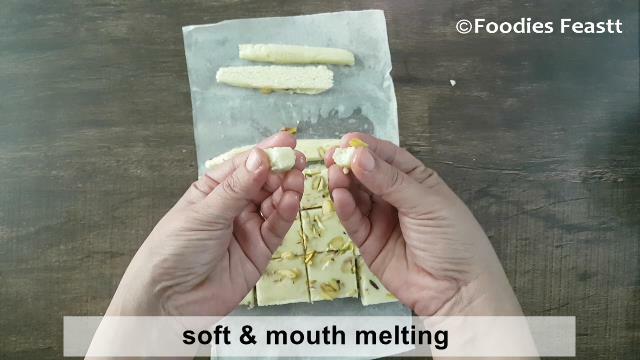 The quantity of sugar mentioned would yield medium sweet burfi, you can adjust the sweetness as per your taste. 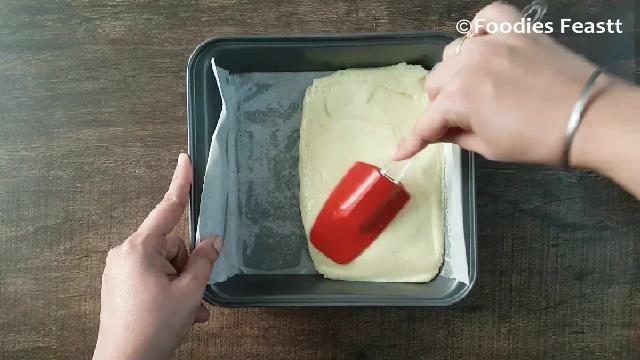 Use a greased spatula to level the burfi for setting. Use a dry spatula to gently press the dry fruits on the burfi. 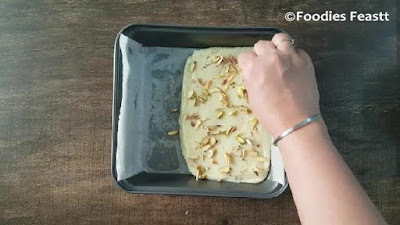 You can use dry fruits of your choice. Tutti Fruity can also be used to add in some color and make the burfi more attractive. The heat should be medium throughout. 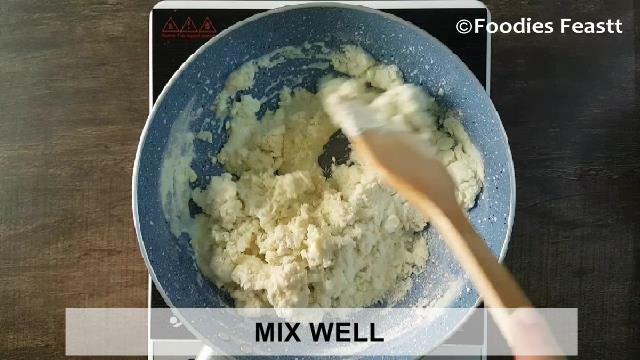 This festival go food-a-licious with this very easy and instant milk powder burfi and let me your experiences via comments.